Location: On the east side of A697. The bridge taking the A697 over the line has been removed. 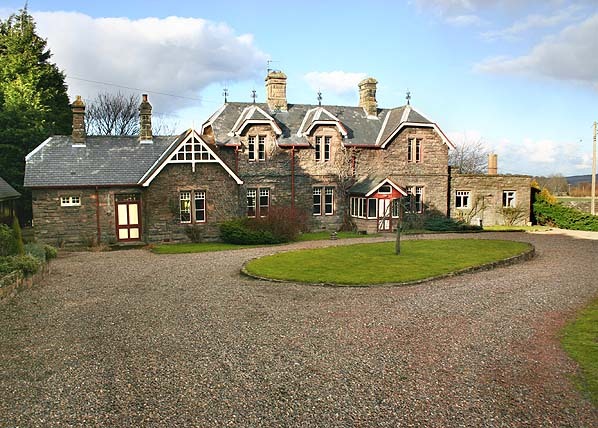 The main station building which incorporates the stationmasters house is still extant and and is now a private residence. A small stone building stands to the back of the platform. It has raised double doors opening onto the goods yard, this was probably for the loading of goods indicating the building was probably a small goods shed or goods office. Another small stone building of railway origin also stands on the approach to the station. At the back of the yard the goods platform is still extant complete with a short section of track with a brake van sitting on it. In 1881 there was a proposal to build a railway line from Rothbury to Wooler to be called the ‘Central Northumberland Railway’. This plan had the support of the North British Railway who were the North Eastern’s great rivals in Northumberland at the time. from their existing station at Alnwick through Wooler to a junction with the Tweedmouth to Kelso line at Cornhill on Tweed. Both proposals went before Parliament in 1881 but the Cornhill branch was by far the cheapest and an act was passed authorising the North Eastern Railway to build their 36 mile line from Alnwick to Cornhill; construction commenced the following year. 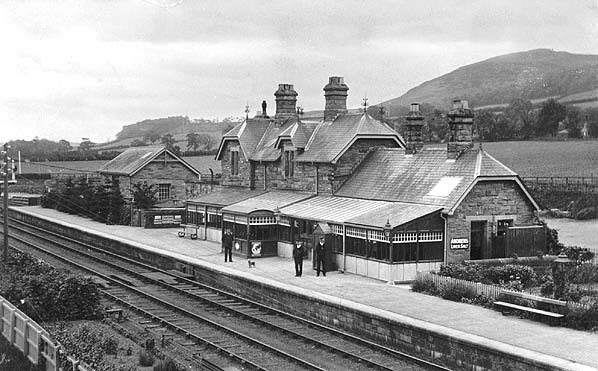 Alnwick station was lavishly rebuilt and to avoid the Duke of Northumberland's estate north of Alnwick, the line initially headed south with the expensive diversion requiring a tunnel and a viaduct at Edlingham. short lived and passenger services fell into decline after WW1 as the line was unable to compete with the new and more convenient bus services. Staffing levels were reduced, signal boxes closed and station masters were put in charge of more than one station but the line continued to lose money and an early decision was taken by the London & North Eastern Railway to withdraw passenger services. The final passenger train ran between Alnwick and Cornhill on 22nd September 1930, only 43 years after the line had opened. 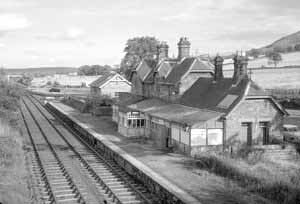 Despite losing its passenger trains the line remained open for freight mainly for local farmers, with regular goods trains. As a sideline the railway rented out disused waiting rooms and old carriages as self-catering holiday homes. These were known as ‘Camping Coaches’ and Cottages and they were a popular tourist attraction on this and many other lines from the 30's until the 60's. During the Second World War the branch enjoyed a brief revival when Akeld station became the railhead for a new R.A.F. airfield at Milfield. After the war the airfield’s giant hangers were used for grain storage, and traffic to and from these helped keep the line open but the line's days were numbered. The line suffered serious storm damage between Ilderton and Wooler in August 1948 with further storm damage the following year when a bridge north of Ilderton station was washed away. With such meagre traffic on the branch the newly formed British Railways could not justify the cost of replacing the bridge; instead the line became two lines; one from Alnwick to Ilderton, and the other from Coldstream to Wooler but the service was infrequent, sometimes only one train a week. The section from Alnwick to Ilderton eventually closed on 2nd March 1953. The Coldstream (Cornhill) to Wooler stretch survived a while longer before falling victim to the notorious Dr. Beeching’s railway cuts. 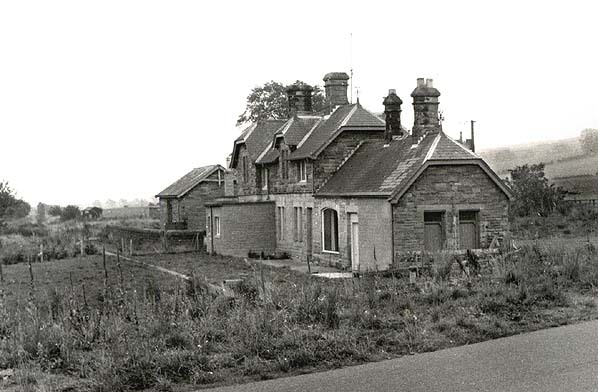 It finally closed in March 1965, along with the Tweedmouth to Kelso line. Railway enthusiasts ran a special passenger train into Wooler shortly before the closure. 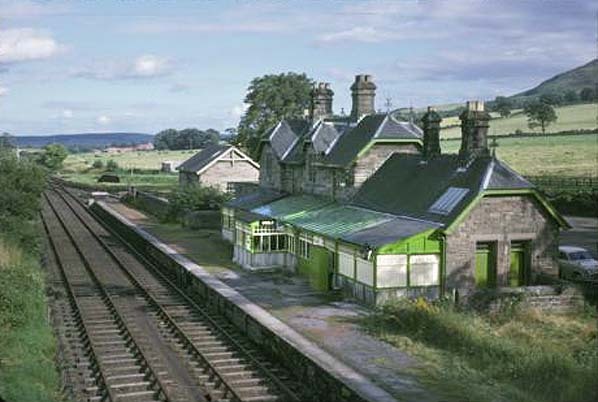 To see other stations on the Alnwick - Cornhill (Coldstream) line click on the station name: Alnwick, Edlingham, Whittingham, Glanton, Hedgeley, Wooperton, Ilderton, Wooler, Kirknewton, Mindrum & Coldstream.